When the last meeting of the Parliamentary Labour Party descended into an acrimonious shouting match audible to journalists listening outside, it was partly due to widespread suspicion of Momentum, the rebranded “Corbyn for Leader” campaign group which intends to continue agitating within Labour for left-wing policies as a kind of anti-Progress organisation. Yes, there were other reasons why restive Labour MPs vented their frustrations at the PLP meeting, not least the fact that their Shadow Chancellor seems to have the political intelligence of a ten year old. But the incompetence and hard left-wingery could all be forgiven if only the bulk of centrist MPs were not terrified that Momentum might serve as a vehicle for Jeremy Corbyn to conduct a purge of the moderates, sweeping them aside in order to make room for more of his ideological soulmates. Senior Labour MPs have warned a new campaign group, set up by supporters of Jeremy Corbyn, is a “threat to sitting MPs” and will “undermine” the party. Momentum, a collective set up with the backing of the Labour leader and the Shadow Chancellor John McDonnell, aims to influence party policy but MPs are worried it is the beginning of a purge of moderate members who don’t support the leader. Much of the reporting of Momentum has thus been framed in terms of the threat the organisation might pose to centrist Labour MPs and other enemies of Jeremy Corbyn, which is interesting enough, but overlooks the more important question of whether new political campaign groups like Momentum are a good or bad thing for our democracy in the first place. This blog believes that non-aligned campaign organisations – groups which may generally support one political party but have their own distinct membership and are not beholden to the party leadership – are a good thing, that we do not currently have enough of them, and that our politics would be greatly improved if more such organisations existed. I happen to oppose nearly everything that Momentum stand for, but strongly favour the principle of opening up our political discourse to new groups and loosening the stranglehold of the main political parties (and their overfamiliar Westminster lobbyists) on campaigning and policymaking. Part of the problem with British politics – the reason that so many people are either completely disengaged or hold all politicians in utter contempt – is that everything is so suffocatingly centralised in Westminster and conducted through the main political parties based there. Meanwhile, George Osborne’s attempt at a devolution revolution notwithstanding, local government at present is largely toothless and undemocratic, the official vehicle for the implementation of national policy rather than a genuine forum for the development of local solutions to local problems. Say (for example) you care deeply about civil liberties, privacy and restraints on the state, and want to advance those causes politically – what do you do? Well, you could join Liberty if you subscribe to their particular expansionist view of “human rights”. But what if you don’t? Or what if you want to devote your money, time and energies to directly pressing these issues by taking sides in open primaries where they exist, or by lobbying MPs? The answer: tough luck, generally speaking. If you want to make a difference you pretty much have to slap a party rosette on your lapel and head to London. What about think tanks or campaign groups? Well, these can certainly be one way of advancing a specific political agenda. Indeed, I am very proud to be a regular contributor to the excellent campaign group Conservatives for Liberty. But generally speaking, think tanks also tend to be policy-focused and London-based. When the party they are affiliated with is in power they might step up and produce policy ideas or run defence when the government is attacked, but when their party is out of power they are left to twiddle their thumbs and develop idealistic policies that will never see the light of day. The result of this over-centralisation is the dramatic narrowing of routes into politics and public service. If you feel passionate about a particular issue or cause – as many young people do – and place those principles over and above any one political party, the British political system offers you very little by means of a platform or a route to power and influence. By contrast, the SpAdocracy – those detestable people who decided at age 14 that they were going to be an MP and have been working toward it ever since – have a near monopoly, not just in terms of Westminster seats but crucially over policy-making. It is hardly necessary to reiterate the ways this harms our democracy. British politics could really do with more campaigning groups, organisations that are ready and willing to roll up their sleeves and get involved in the low skulduggery of politics. They should be partisan, or rather semi-partisan – supportive but not beholden. Being involved means organising conferences, holding politicians and government ministers to account, engaging in public campaigning and advertising, and yes – seeking to gain influence over which candidates are selected to fight elections for city mayoral offices, the devolved assemblies and Westminster. Why should this be such a shocking suggestion? Only 1 percent of the population now belong to either Labour, the Conservatives or the Liberal Democrats. So why should a fraction of this 1 percent then determine who makes it onto the ballot paper for our consideration, especially if there were large and vibrant new campaign groups seeking to influence the political parties? People may hate Jeremy Corbyn and be intensely suspicious of Momentum, but they should ask themselves whether perhaps they are turning themselves against a potentially transformative development in our political system simply because they do not like the person who stands to benefit from it this time around. So what if Momentum exists to push the Labour Party further to the left and potentially agitate for the deselection of centrist Labour MPs? They have the right to organise and the right to free speech in the service of their agenda. Besides, MPs have no God-given right to represent their constituencies forever once nominated by their party. Imagine a Britain where campaign groups threw their weight around and issued “scorecards” to MPs based on their voting records regarding specific issues. There would be far less complacency on the backbenches, and within government too. This system – or some variant of it – already exists in other countries. In the United States, it is common practice for outside groups like CPAC (on the Right) or Organizing for Action (on the Left), as well as single-issue pressure groups of all kinds, to seek to influence the American political debate in just this way, as is their right. In fact, Jeremy Corbyn’s “Momentum” movement is almost a carbon copy of Organizing for Action, the technically non-affiliated community organising group which grew out of the Obama for America presidential campaign to support the wider goals of the Democratic Party. With more than 250 local chapters around the country, OFA volunteers are building this organization from the ground up,community by community, one conversation at a time—whether that’s on a front porch or on Facebook. We’re committed to finding and training the next generation of great progressive organizers, because at the end of the day, we aren’t the first to fight for progressive change, and we won’t be the last. – To organise in every town, city and village to create a mass movement for real, progressive change. -To transform Labour into a more democratic party with the policies and collective will to make that change in government. – To bring together individuals and groups in our communities and workplaces to campaign and organise on the issues that matter to us. When President Obama gave his blessing – and his contact list of 13 million supporters – to OFA, there was no panic that he was creating a rival party to destabilise and supplant the Democratic Party. It was taken as a given that the leader of the party and the country was entitled to set up a group which would continue to press for his ideals during the Obama administration and beyond. 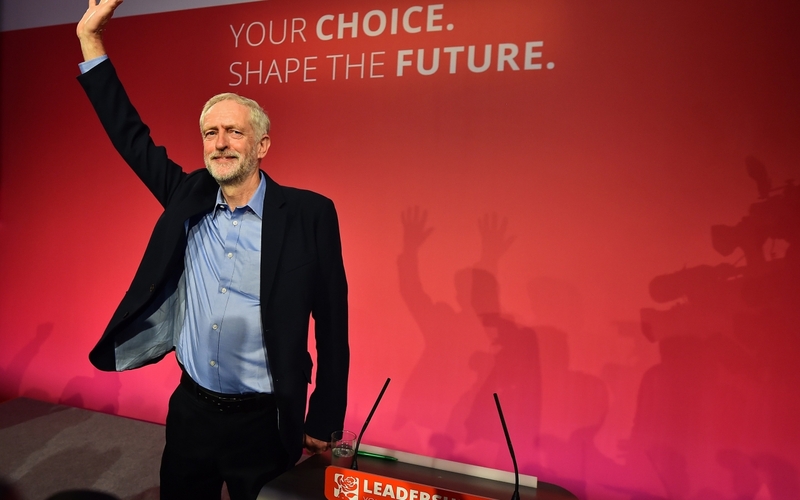 Like it or not, Jeremy Corbyn was elected leader of the Labour Party. Why should he not have the same right to shape the party’s future? Shocking though it may be to Labour centrists, not every left wing political initiative needs to be conducted through the Labour Party or with their formal blessing. It is possible to agitate and campaign for progressive change without the official imprimatur of the Labour Party, just as Lord knows that it is possible to stand up for small government and individual liberty without belonging to the Conservative Party. (In fact, at times the two have seemed mutually exclusive). The nervous fretting we are now hearing about Momentum isn’t some high-minded concern about the idea of campaign groups in principle, it comes from the naked self-interest of certain Labour MPs who believe their jobs may be at risk. If Momentum were a centre-left pressure group in the model of New Labour, rather than an organ of the ideological Left, it would be welcomed with open arms by Labour MPs (though perhaps not the public). We will only ever increase engagement in politics if the Westminster political parties can be persuaded or forced to surrender their monopoly on policy development, the promotion of talent and speaking about key issues of concern to voters. For as long as all of the conversations that matter about healthcare, defence, free trade, education, civil liberties and other hot-button issues take place within discredited political parties with toxic reputations, thousands of people will simply not pay attention or get involved. The good thing about having a non-aligned organisation or pressure group such as CPAC to carry the conservative banner is that it does not fall prey so easily to the personal ambitions and outsized egos of individual politicians or inter-party turf wars, and is in no way obliged to meekly tow the party line in the interests of short term political expediency. Delegates at CPAC are just as likely to trash talk the Republican Party as they are the Democrats, because at CPAC it is ideas and beliefs that matter, not party allegiance and the dirty business of compromise, so necessary to government but so fatal to formulating good policy. So where is the British CPAC? It simply doesn’t exist at present. 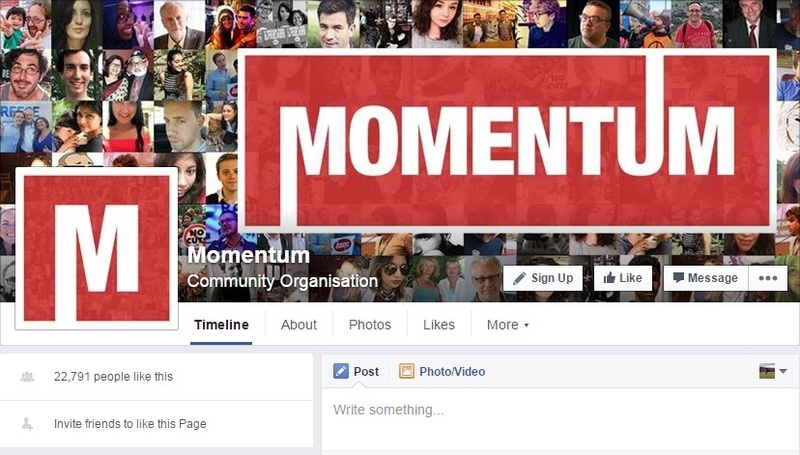 With the launch of Momentum, the political Left are now one step ahead of those of us on the Right. Ultimately, our politics is too important to be left exclusively to politicians and political parties. And if our occasional words about making politics more inclusive and reflective of society are to be more than empty rhetoric, we should welcome the launch of Momentum, and hope to see them joined by many new campaign groups of all political hues. Those who argue differently do not like the prospect of having this broader debate, and either do not wish to defend their positions or are actually unable to do so. It might be worth asking them why. Good, but a fundamental mistake in the 1st paragraph. Momentum is progressive. The direction capitalism has been going is to turn socio-economic relationships back to the 1930s at least and victorian times at best – in order to maximise profit in western economies having to compete with very cheap labour in the 2nd & 3rd world (ie anti-progressive in the great scheme of things). Momentum is forward looking (ie progressive) – to a better future for all on the planet- i’d say that was progressive rather than anti-progressive.. I should clarify. By “anti-Progress” I didn’t mean anti-progressive, I meant literally against Progress, the campaign group behind New Labour. I was saying that Momentum is seeking to be an explicit counterweight to the more centre-left elements within the Labour Party, the very idea of New Labour and the accommodations they have made with Thatcherism. Interesting perspective. I remain agnostic on the subject of whether Momentum, of which I had not heard prior to reading your piece, are a good thing in principle or not. But, this was well worth the read. Thanks for the comment. It will be interesting to see how Momentum behave in practice. If they play it sensibly and stick to “keeping Labour honest” then it may reflect well on them, and encourage the launch of other such groups across the political spectrum. But if they make too much trouble too quickly (and launch an immediate purge of centrist MPs) then it could tarnish the whole idea, in which case the same dull political parties will maintain their monopoly of the political discourse. I would love to one day see a British equivalent to America’s CPAC (minus the crazy), so I am hoping that Momentum succeeds and sets a good precedent. If they play it sensibly and stick to “keeping Labour honest” then it may reflect well on them, and encourage the launch of other such groups across the political spectrum. Absolutely agree. This will be crucial. If Momentum proves to be a genuine grass-roots movement then it could be interesting, even though I share almost none of its political opinions. My concern would be that either the group is or—if its original members are not very canny—could easily become just more ‘astroturf’. As you say, that test is still to come.